This was the sixth ICMM conference to take place, following on from previous locations such as Germany, Japan and the USA. 107 delegates from 20 countries were to come together for the event. With a full programme of activity, organisers needed an array of eventing space. With guests attending from a number of locations, an accessible location was crucial for this conference. International and National delegates were able to make use of key transport links to and from the city. Following arrival drinks beneath the trees in the Forum, presentations took place in the Alumni auditorium. Speakers made use of the dual screen and full AV equipment, with technical support on hand at all times. 60 poster boards were displayed outside the auditorium for the duration of the conference, with exhibitor tables allowing for exhibitors to showcase their latest products. On Monday evening Seminar Room 9 was opened out into a larger space for the conference's Beyond a PhD event sponsored by the University of Exeter’s Centre for Doctoral Training in Metamaterials. A buffet dinner was provided for the Beyond a PhD participants and its panel of five world leading researchers from academia, government labs, and industry. At the same time a drinks reception was held during a dedicated late-afternoon poster session in the Forum. Day two saw a similar program of events with late afternoon poster sessions, followed by a hugely successful conference dinner at the Royal Albert Memorial Museum, initiated by the team at Event Exeter. Bed and breakfast accommodation was provided in Holland Hall allowing delegates to walk through the beautiful grounds of Streatham Campus to and from the Forum. Accommodation bookings and payment of the conference fees were managed through the University of Exeter Online Store. Online information about the conference was made available through a Wordpress blog hosted by the University. A dedicated mailbox was set up for the conference and assistance with the online store, blog, and mailbox was available throughout. 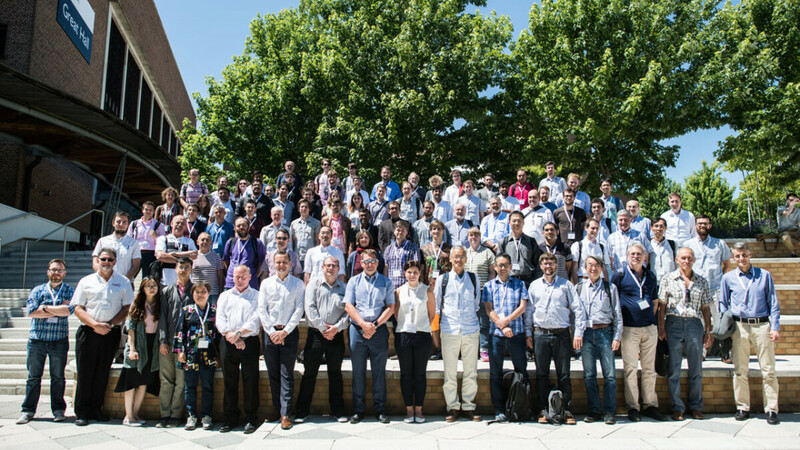 ‘The 2018 ICMM conference was a great success. We received numerous positive comments from its delegates on the location at the University of Exeter, the facilities and staff provided in the Forum and Alumni Auditorium, and the organisation of the technical and social program of the conference. Our local contacts Jessica Rule and Holly McMahon were present throughout the conference to efficiently solve any last minute challenges. Prior to the conference, Jessica and Holly helped a great deal with the organisation of our delegate accommodation needs, the conference venue, and the catering.